About a year ago, a good friend of ours left a bottle of spiced rum at our house, as a gift. To be honest, neither of us are big cocktail drinkers. And so, the bottle of rum has gathered dust in the cabinet. You know I love baking with liquor. And you know I love anything to do with pumpkin. This month for SRC, I was assigned Little Bit of Everything, written by Julie. 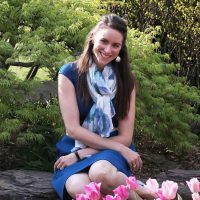 Julie has been blogging since 2009, and she started her blog as a way to document her journey through her cookbook collection! I love how she keeps a list of the daring recipes she wants to try, because I do the same thing! I made a lot of changes to Julie’s drunken pumpkin recipe, which was originally a very sweet quickbread. First of all, I have been trying to cut back on sugar, so I knew I would feel a little less guilty if I decreased the sugar by a third and kept all the amazing pumpkin flavor. I was a little nervous about tampering with the ratios of ingredients: baking is a science, and it requires precision! But after doing a good bit of reading and some baking math, I felt confident. Second, I wanted to lean into the cakey nature of quickbreads. Quickbreads and cakes are made with nearly identical ingredients, but you add them and mix them in a different order. I prepared this recipe like it was cake, using the creaming method. While I was at it, I figured I might as well turn up the fancy factor, and the cake got a makeover into a spiral Bundt pan. I also gave it a drunken glaze. Yum. The end result was completely delicious: a moist yet springy cake, much like pound cake, with all the right spice and a punch of dark rum. So let’s eat some cake! 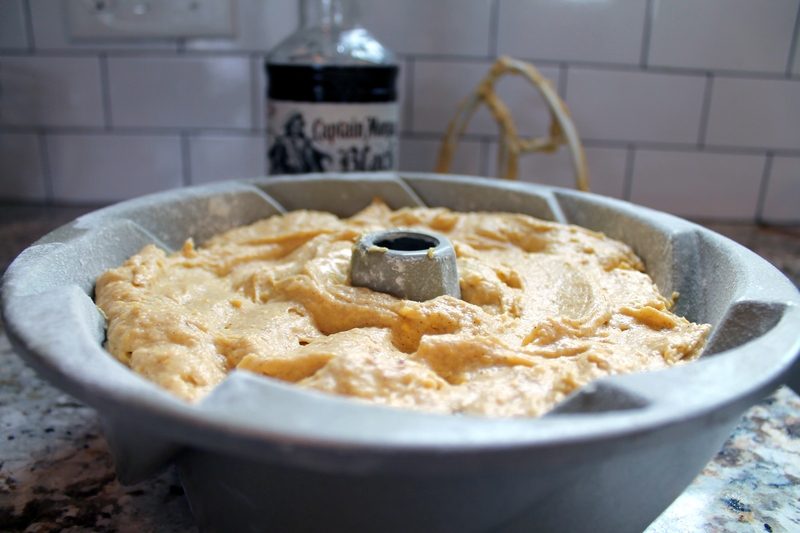 We are going with the tried-and-true creaming method for mixing our pumpkin Bundt, so start by creaming the butter and sugar together until it is pale and uniform. There is a lot more sugar than butter by volume, so the result will be quite stiff, rather than airy. No worries! Add the eggs, one at a time, mixing well and scraping the bowl thoroughly in between each egg. After all the eggs are in and the mixture is even, crank up the speed on your mixer and beat for 2 minutes to aerate. 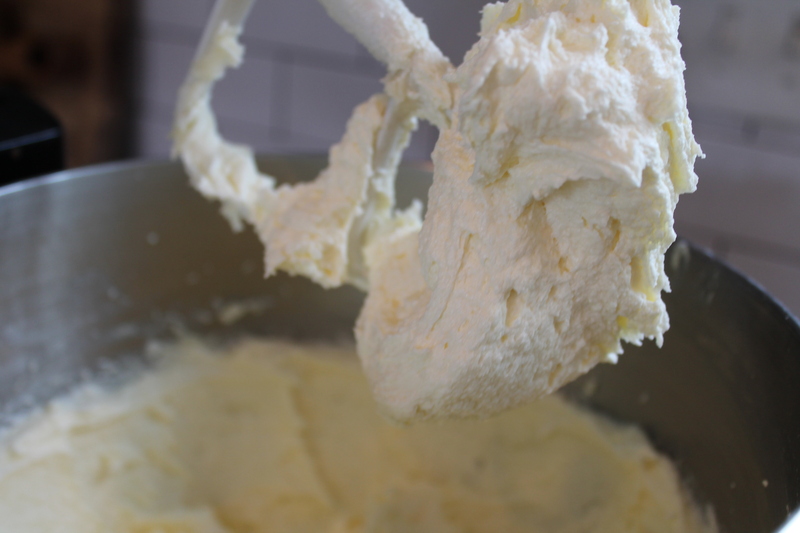 The butter mixture should become very soft and fluffy. 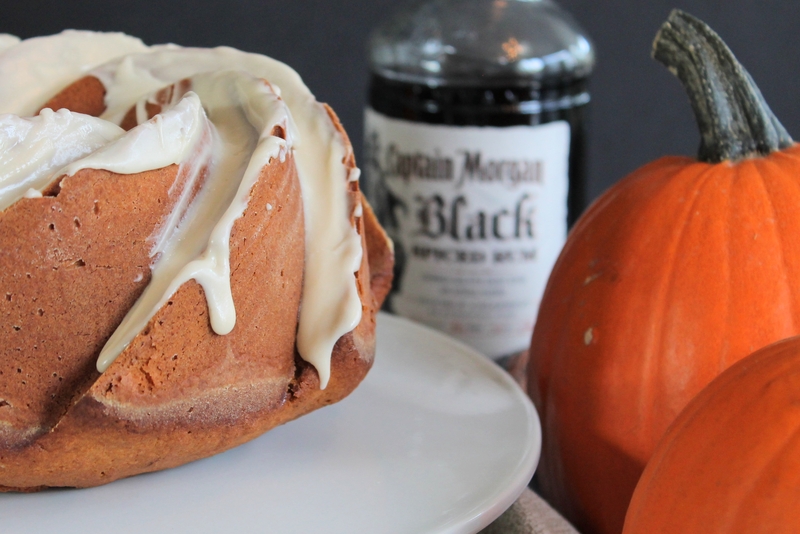 In a separate bowl, make some drunken pumpkin. Here’s the thing about pumpkin: it’s pretty wet. This makes it a great substitution for milk in quickbreads, but if it’s too wet, it can make a cake rather soggy and dense. Every pumpkin is different, and sometimes water is actually added to roasted pumpkin during the puree process to help it become nice and smooth. Once you’ve blotted the excess moisture from the pumpkin, transfer it to a small bowl or measuring cup and stir in the spiced rum. Side note: If you are really desperate for some straight-up pumpkin bread, feel free to ignore the process I used above and add all of the wet ingredients to your bowl at the same time, mixing until incorporated. This will result in a classic (drunken) pumpkin bread, which you can bake as 2 loaves or 18-24 muffins. Next, we mix together all of the dry ingredients: flour, baking powder, salt, and a bevy of warm spices. Use a whisk and make sure to mix everything well. We will alternate adding the flour mixture with the drunken pumpkin. Start with a third or so of the flour and stir it into the buttery base. Scrape the sides of the bowl. Add half of the drunken pumpkin and mix, scraping the sides of the bowl. Repeat these steps for a total of five additions, starting and ending with the flour. Make sure to scrape the sides and bottom of the bowl well so that everything is mixed evenly. Spoon the drunken pumpkin batter into the pan. Use a spatula to spread the top into an even layer. You can also drop the pan onto the counter a few times to release air bubbles, if you are so inclined. Bake for 60–75 minutes at 350°. Mine was done at 70 minutes, at which point I subjected it to several toothpick tests. The toothpick should always come out clean, and the top of the cake should spring back if you gently press it. Allow the cake to cool for 10 minutes in the pan before turning it very carefully out onto a wire rack to finish cooling. Pour the glaze carefully over the cake, allow it to drip down the sides. Let the glaze set completely (about 20 minutes) before cutting into the cake. Preheat oven to 350°. 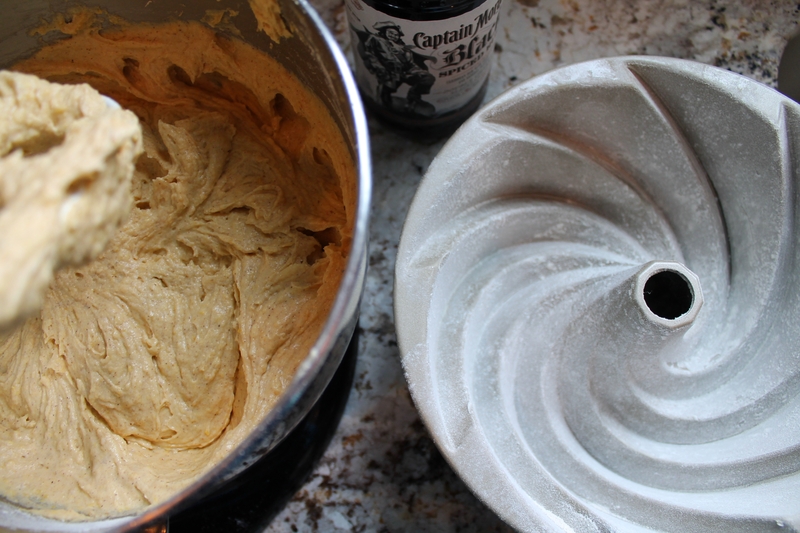 Very thoroughly grease and flour a 10-cup Bundt pan. Cream the butter and sugar together until pale and stiff. 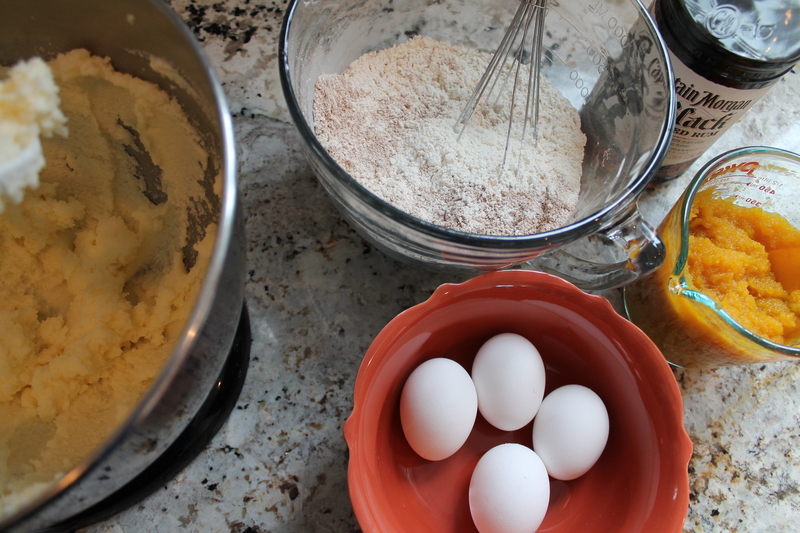 Add the eggs, one at a time, mixing well and scraping the sides and bottom of the bowl between each addition. After incorporating the last egg, beat the butter mixture on high speed for 2 minutes to aerate. 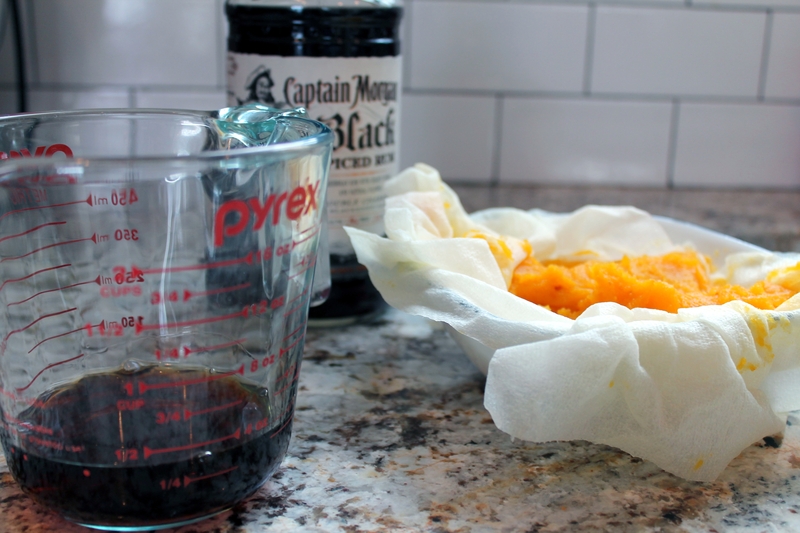 In a small bowl, blot the pumpkin dry with a paper towel. Do not wring the pumpkin, just blot to absorb any excess liquid. Stir in the spiced rum and set aside. In a large bowl, whisk together the flour, baking powder, salt, and spices. Alternate mixing into the cake batter one-third of the the flour mixture and one-half of the pumpkin, starting and ending with the flour mixture. Stir on low speed until combined and scrape the sides of the bowl after each addition. 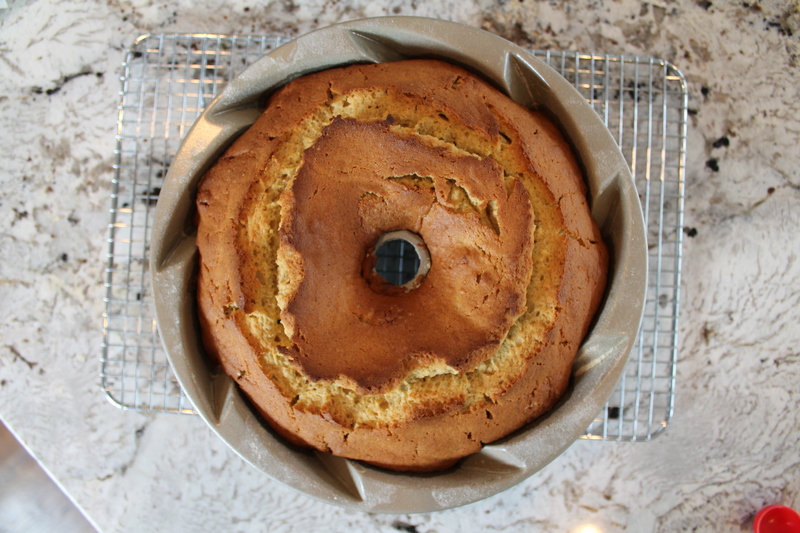 Bake for 60–75 minutes, until the cake is set in the center, springs back when lightly pressed in the middle, and can pass a toothpick test in three locations around the tube. Cool for 10 minutes in the pan, then turn out carefully onto a wire rack to cool completely. 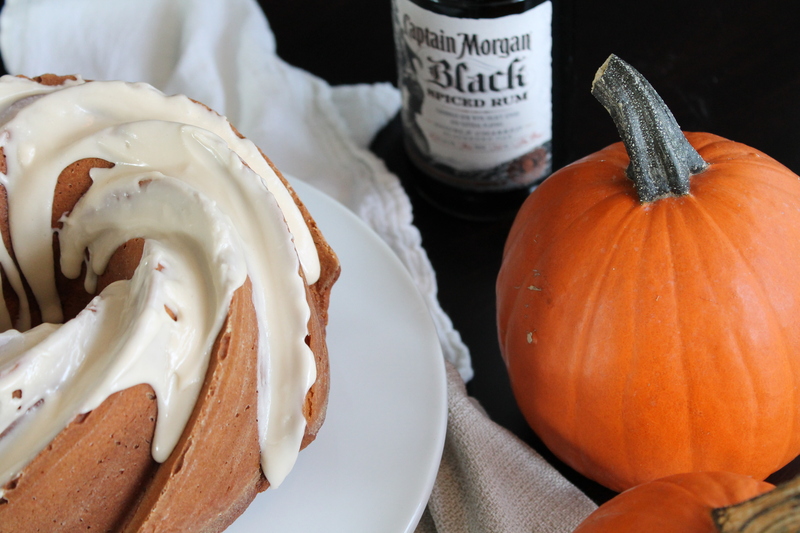 Your pumpkin bundt sounds delicious. 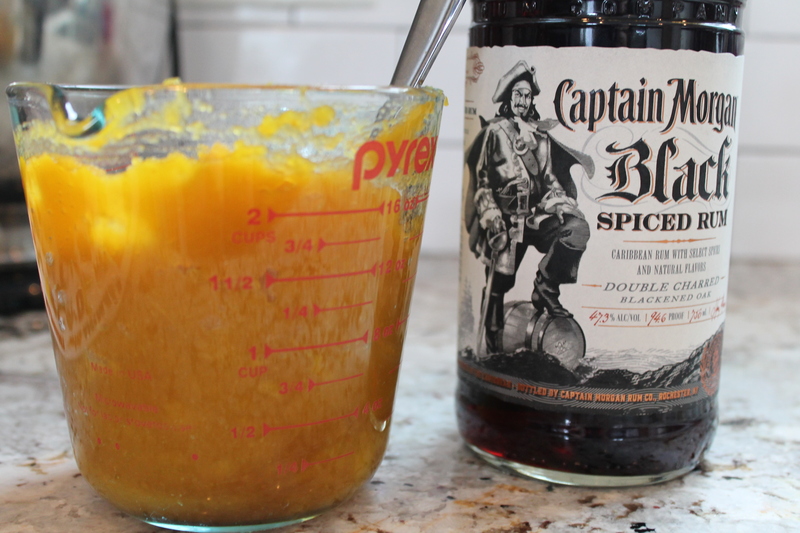 The addition of spiced rum had me hooked… But I want to use pumpkin puree….. Will play with it…..
Hey Kathy, thanks! 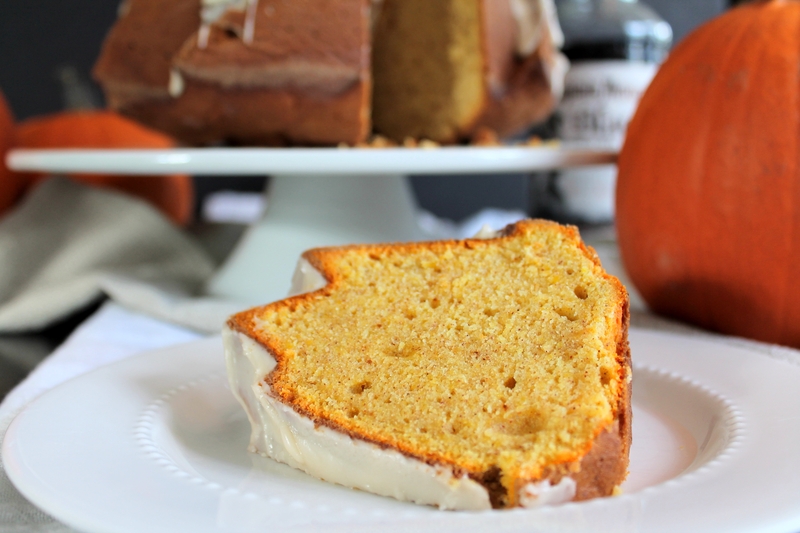 This recipe does use pumpkin puree, and you can either make your own or use canned pumpkin! Hope you enjoy it! It’s a gorgeous cake and I love the sound of the rum and the pumpkin. We also have that problem in that we don’t drink spirits much so whenever we have a bottle of something it lasts literally years! Baking is such a good way of using up those bottles! I am in love with this recipe! I love pumpkin and I love drunken things! Thank you for providing all the rationale for your choices and changes, I learned so much! That pan is so pretty too! We are celebrating my eldest’s birthday on Sunday and she has requested something pumpkin….This will be her birthday cake….Thanks for sharing. Wonderful! I hope she enjoys it! She did Melissa and I am sharing my version today over at #BundtBakers. 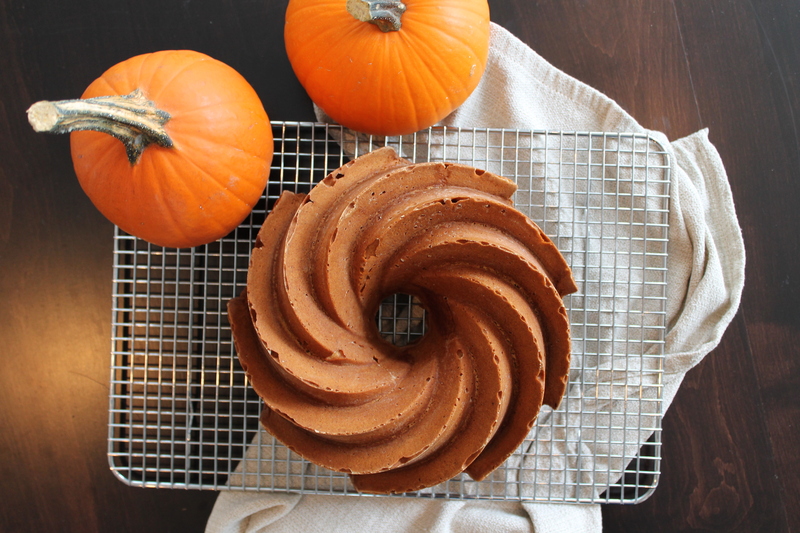 You can find it at http://adayinthelifeonthefarm.blogspot.com/2016/10/spiced-rum-pumpkin-bundt-for-birthday.html. Thank again.